In a judgment released by the High Court last week, two homeowners, Mr and Mrs Gidden, succeeded in a claim against IAG for refusing to honour its agreement with them to settle their claim. The judgment turns on some quite technical legal issues relating to the certainty of settlement agreements and implied terms. In the end Associate Judge Osborne decided that there was an enforceable agreement between IAG and the Giddens to settle the claim and ordered IAG to make payment. On the facts of the case, it seems clear that that was always the intention of the parties. But apart from the nice legal issues, this case is, to a lawyer who has been involved in hundreds of earthquake cases, reminiscent of Ground Hog Day. More than five years after the earthquakes, there are still a significant amount of people whose claims have not been settled. Most of these are in fact the major claims running into several hundreds of thousands of dollars. An almost invariable theme when people approach their lawyers in frustration is the protracted and circular negotiations. Insurance companies convey to their customers that they want to settle the claims, and say all the right things. But getting the insurance company to the line can be another question. In the Gidden’s case, attempts to resolve the claim without involving lawyers or court proceedings went on for years. They spent from 2011 until 2014 trying to decide whether the home could be repaired or had to be rebuilt. However, on IAG’s calculations, there was less than $20,000 difference between the repair cost and the rebuild cost. So the Giddens had wasted nearly three years arguing about whether the house was a rebuild or a repair when the difference between the two ended up (on even IAG’s version) to be less than $20,000. Surely that is a monumental waste of time (and money). When the Giddens complained about the delays, they received a “very sincere apology… for the delay in resolving their claim and the way it had been handled”. One might forgive the Giddens for thinking that they were getting close to a settlement. Following that there were significant negotiations, and a number of meetings in an attempt to resolve the matter. 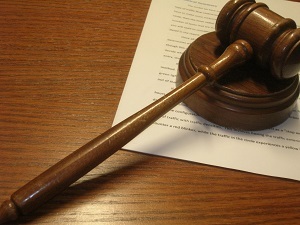 On a number of occasions, IAG’s representatives referred to the possibility of cash settlement of the claim. But in the end when they could not agree, IAG backed out and claimed that there was no formal agreement to settle. By now, there was another more than 12 months wasted, and the Giddens were apparently back at the start again. No doubt the lawyers will debate whether in fact there is a binding agreement in this particular case. But a judge of the High Court has ruled that there is. What is more important, and unfortunately so common in these cases is that Mr and Mrs Gidden wasted nearly three years arguing over repair versus replacement when the dispute was less than $20,000, and even when IAG apologised for the delay and the way the claim had been handled, the claim dragged on for another more than 12 months. During that time State continued to retain control and attempted to pull the plug on the entire process when it did not get the result it wanted. Good faith? You be the judge of that. Luckily, a judge of the High Court has rejected IAG’s attempts to do so. But this conduct must surely call into question whether there is any point in trying to settle these claims without litigation. The advice I give to my clients is that they only way they can take control rather than allow the insurance company (as with the Giddens) to control the process to the bitter end is to file proceedings. That way the Court imposes a timetable and enforces that timetable. And any formal processes are conducted on a level playing field without the insurance company having the ability to pull the plug at the last minute. Thanks for the interesting summary. Am I too cynical to suspect that claims managers have been instructed to draw things out as long as possible in the hope that claiment's give up and accept low ball offers? Are all the companies this bad or just State? I stopped dealing with State about 15 yrs ago - might pay a bit more but AA and Medial Assurance have been excellent in all claims to date (about 4). None in Christchurch. Agree with you Cam, and that is certainly our experience in dealing with Southern Response. 18 months ago our SR decided to "review" our claim. This review has not been completed. So much for the clause in our contract saying that our claim should be dealt with in a timely manner. But what if you want a rebuild ? Are you not better to wait for the insurance company to take ownership and risk themselves rather than litigating, taking cash and taking on the risk ?